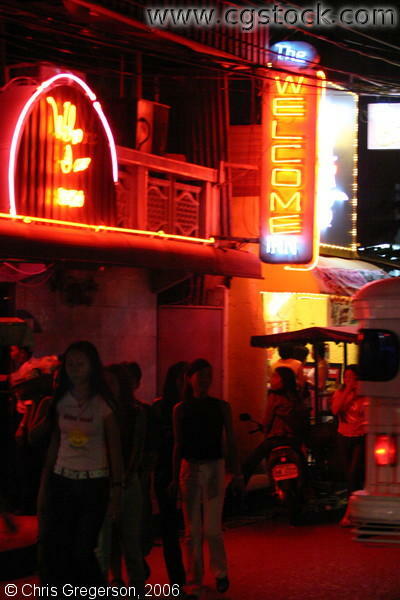 This is a street in Clarkfield, Pampanga showing the front of The Welcome Inn. Young women are walking in front of this. This picture also shows a motor and the hind part of a jeep passing.